We are expecting HTC to officially announced their latest Android smartphone on the 19th of February, and now it would appear that we may have a possible HTC M7 Release Date of the 8th of March. 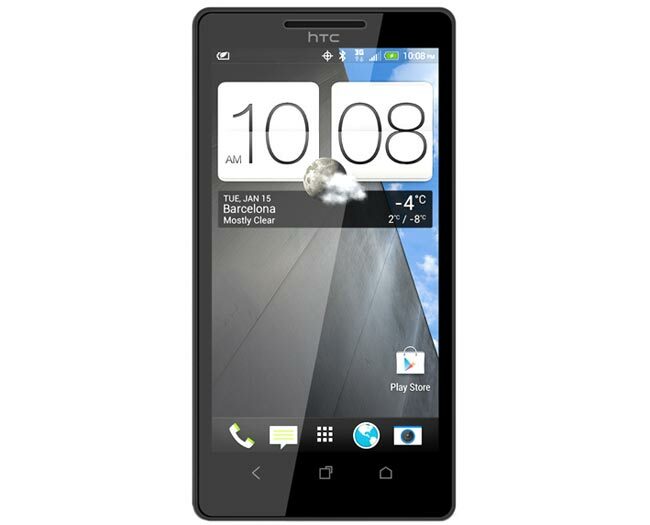 The 8th of March has previously been rumored as the HTC M7 release date, and now more details have been revealed which confirm the HTC M7 will go on sale in France on the 8th of March, we presume this would be the same launch date for the rest of Europe. 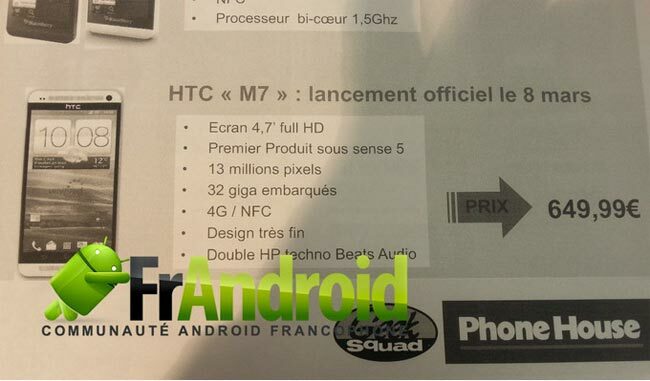 The photo below shows the HTC M7 pictured with a release date of the 8th of March with French retailer Phone House, and it also confirms the specifications on the device which we have heard about previously. As you can see in the photo above, the HTC M7 will come with a 4.7 inch full HD display with a resolution of 1920 x 1080 pixels and will also feature HTC Sense 5.0 plus 4G and NFC. The camera on the HTC M7 is also confirmed as a 13 megapixel version, although we are expecting HTC to introduce some new camera technology with the launch of the device. The HTC M7 will also come with Android Jelly Bean and a 2,300 mAh battery, plus Double HP techno Beats Audio, we should have more details on the device later this month.